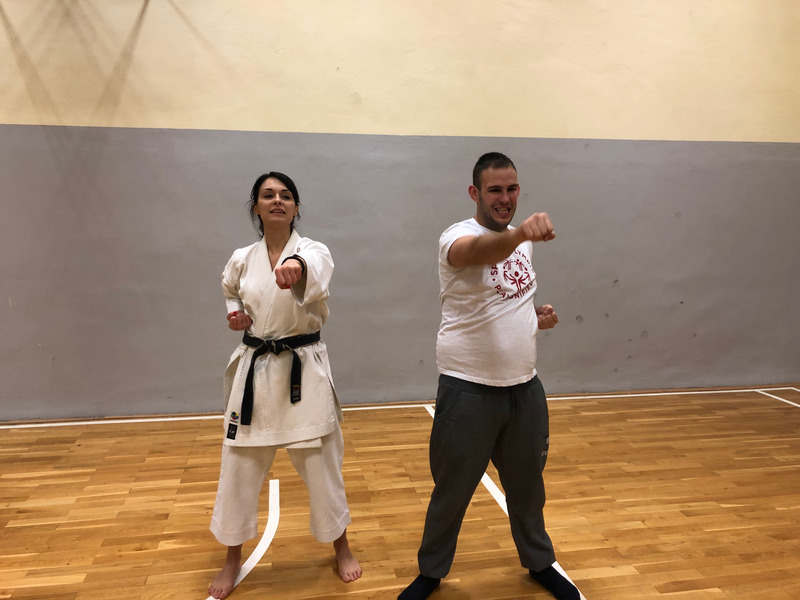 “Sport for social action”, was a capacity building project financed by the European Union under the Erasmus +, Sport programme, implemented by Youth Alliance –Krusevo. The project was based on addressing the importance of sport in the process of creating socially inclusive society. 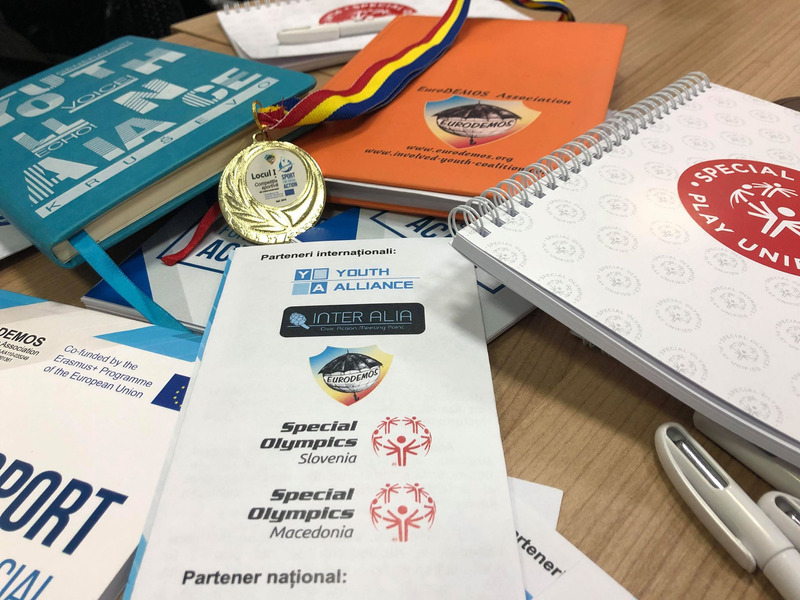 The project included the following 5 partners: Youth Alliance - Krusevo [Republic of North Macedonia], Special Olympics Macedonia [Republic of North Macedona] EuroDEMOS [Romania], Inter Alia [Greece] and Special Olympics Slovenia [Slovenia]. Main goal of the project was to raise capacities of involved organizations to promote social inclusion and volunteerism by implementing sport activities and services directly including young people with intellectual disabilities and to use sport as drive force of social inclusion. The project included transnational activities in the forms of coordination meetings and round tables and activities at the level of national countries including trainings, developing new innovative practice ‘Inclusive Volunteering 1+1’ and public awareness raising camping. The first round table (RT I_ Report.pdf) took place in Skopje, Republic of North Macedonia from 11th till 14th of May and main aim was to gather relevant experts in the topic of sport and non formal education, in order to discuss the best tools and methodology to implement future national activities within the project framework. The second round table (RT II_Report.pdf )took place from 11th till 14th of October, 2018 in Athens, Greece. The round table was focused on the process of developing new innovative practices, identifying and overcoming the obstacles, the role of stakeholders representing different sectors (educational, labour, youth) in the process and reflection on the practice “inclusive volunteering 1+1” developed during the project. The activities implemented at national and local level within the framework of the “Sport for Social Action” project represent the main action taken to bring the concept of inclusive sport close and directly to the people. More information about the national activities in all countries you can find at the detailed report. The project visibility and dissemination was strong focus of the project partners and we are proud that more than 150 announcements for the project were published on different media channels - social and traditional media. More information about media coverage for the project you can find at Media report.pdf.